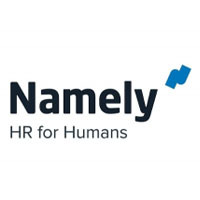 Namely is an integrated HR software for mid-sized companies. It offers tools and services that assist businesses with payroll, time, benefits, talent, and general HR management. In this article, we covered user reviews and pricing. Ready to get started with Namely? Request a demo. Users who gave Namely a positive review commended its payroll, HR, and onboarding tools that help manage their workflows accurately. They also cited its customer support team as proactive in applying their suggestions for software updates and fixes. Users who gave Namely a negative review suggested improvements on PTO tracking, third-party integrations, and task management for more simplified business processes. They also complained about its steep pricing. Namely pricing is not readily available on its website. Services from similar companies usually cost around $5 to $10/employee/month for basic services, while the more extensive apps can cost $20 to $40/employee/month. Ready to get started with Namely? Request a demo. What types of industries can benefit from Namely? 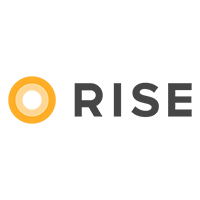 Namely can be used by a wide range of industries including food and beverage, financial, manufacturing, technology, retail, nonprofit organizations, and more. What types of customer support does Namely offer? 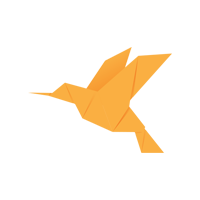 Namely provides a dedicated support consultant to answer questions and offer tips on how to use the program. There’s also an active client community where users can gain direct access to other members’ best practices. Not sure if Namely is the right fit for you? Read our reviews of all top HR software or check out one of these three Namely competitors. From a user perspective, the system is easy to navigate and easy to use. I have never had any issues working with this this HR solution. We have had a few issues syncing up certain pieces of data with other systems. There are some areas that work great, but others could use some improvement. This system was purchased prior to me beginning with the company, so I’m not sure how much research went into this company or their products prior to purchasing. Namely listens to it’s customers. We have a platform where we can provide direct feedback about Namely and where we can request new features. Namely is also very good about sharing future updates/plans for the system. Namely is also great in regards to helping HR/payroll professionals network. Namely hosts networking events in different cities where professionals can meet and discuss relevant topics (and it’s not a sales-heavy networking event). Namely’s platform is also so easy to use and it is very customizable. We have been able to add our own fields to the HR system and now report on those fields. It has only been recent that ticket-type items are not resolved as quickly. We’ve been waiting a few weeks for an update to our benefits feeds for a new company we have in payroll. I don’t expect this to be an issue long as Namely is actively hiring. I feel like we signed with Namely with our eyes wide open. Our CFO talked directly with Matt Straz, we researched other companies in depth, we knew exactly what we wanted, and Namely has delivered on what they said they could do. Namely has some great ideas for incorporating their HRIS into daily use for employees. It starts with an onboarding feature that employees complete (and you tailor to your needs) before their first day on the job. And I understand new releases of Namely will make these even stronger with some links to tax and I-9 forms. The payroll system is also fantastic-so much easier to use than other products we’ve encountered. But the Pièce De Résistance is their customer service. As with any product, you’ll run into errors or challenges, and Namely is very quick to respond and rectify. We feel like we actually have relationship with their support team, and it has proven valuable to both parties. Namely continues to absorb feedback and make changes to their reporting and performance management systems. It’s not that they don’t “do them well”, it’s just that some features that seem intuitive through usage are yet to be implemented. We did a great deal of research on Namely, it’s products, pricing, and potential (they were very new at the time), so there really isn’t much we didn’t know about them. I’m always open to speaking to folks searching for an HRIS, and have referred Namely to several people. Simplifies HR and payroll for administrators and users. The platform is modern and helpful. Their implementation process could use some work. There were no surprises for us. Namely gives a dedicated account rep. so the customer service is good. Also, their payroll system is extremely intuitive and user-friendly. Namely gets pricey. Also, they charge you in advance for the future 6 months which we don’t like. We have been with Namely for several years and certain features don’t work for our business. We have a PTO carryover policy and Namely isn’t able to calculate this accurately for us.